In a busy summer period, planning permission was granted unanimously by the LB Barking & Dagenham for a proposed all-through school at Barking Riverside. This will be one of the largest such schools in London and would take the form of a single, integrated learning campus comprising a 10 form entry secondary school (with sixth form), 3 form entry primary school and special education needs (SEN) school. In other news, we have also secured planning permission for the proposed conversion and extension of a former pub in Hendon into flats, which historical records suggest was the original site of a 15th Century Tudor Coaching Inn and another flatted development within the LB Hackney. 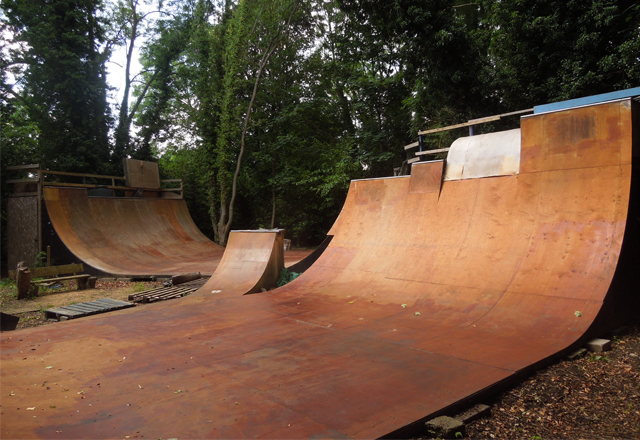 In a landmark decision, we have succeeded in quashing an enforcement notice served by the Royal Borough of Windsor & Maidenhead Council alleging the erection of two interconnected half-pipe skateboard ramps each measuring 12m long, 6-7m wide and a maximum 3m high within the curtilage of a residential dwelling in the Green Belt. The Inspector accepted that as a matter of planning law the ramps constituted development (and not a change of use of the land as the Council had maintained) and despite being on private property, their wider local community use meant that they could be considered an ‘appropriate’ facility for outdoor sport and recreation in Green Belt policy terms. In allowing the appeal, the Inspector ruled that the ramps were not inappropriate development by virtue of Green Belt openness being preserved and there being no conflict with the purposes of including land in the Green Belt. He also attached significant weight to a novel and innovative management agreement aimed at regulating the ongoing use of the facility. 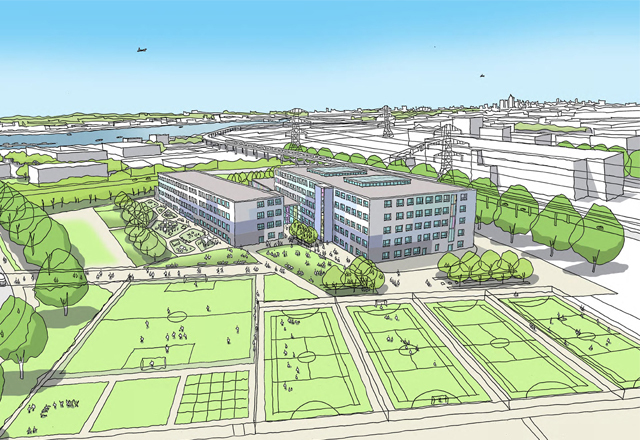 RENEW Planning has been instructed in conjunction with Portakabin Group and Surface to Air Architects to submit a planning application for an all-through school (Riverside School) at Barking Riverside in East London. The school will take the form of a single, integrated learning campus comprising a 10 form entry secondary school (with sixth form), 3 form entry primary school, special education needs (SEN) school and nursery with associated informal areas of play, including Multi-Use Games Areas (MUGAS) and an all-weather pitch. The overall child and staff population of the school will be in the region of 3,000. The London Borough of Barking and Dagenham has one of the fastest growing school age populations in the country and the school will meet an identified need for new education infrastructure in the area. The planning application is expected to be determined in the summer. 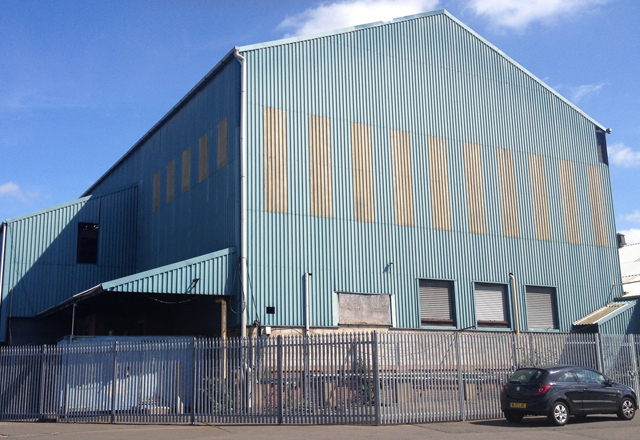 We have obtained a Certificate of Lawful Proposed Use or Development (CLOPUD) from Walsall Council in respect of the proposed use of redundant industrial buildings in Bloxwich (Walsall) as a pyrolysis plant to convert biofuels and other suitable feedstocks into clean gas that would be directly imported into the grid. This follows our advice to the applicant that the considerable cost of submitting a planning application could be avoided by adopting such an approach.